Fnatic have steadily emerged as frontrunners for the 2018 LCS summer split title much as they did in the spring split, showcasing a lot of creativity in the process. With that in mind, we spoke to the team’s extremely creative mid laner, Rasmus "Caps" Winther, and his head coach, Dylan Falco — who faces a daily challenge in channelling Caps’ creativity. Caps: I cannot confirm nor deny whether I will be playing Teemo next week, but it's definitely something we've been talking about and trying out in different roles. Maybe we'll play it or not; it will be up to Dylan, I guess. How tricky has your job become since Bwipo is adding more [randomness] into it now? Falco: With the meta change at the beginning of the split, when you have players like we have on our team, there is a way you can be creative and explore the game without five people picking troll champions every single game. With the players we have on our team, a lot of it is controlling the beast — that's what I like to say. You have to troll pick to a certain extent, but not go over. A lot of what I've been trying to do is let the team experiment with stuff we think is actually strong in the game, without letting it turn into troll picking for the sake of troll picking. Caps: We have a new rule, like one troll pick per game? I need a demonstration. What was the troll pick of the week for him? Falco: Do you really need to ask what the troll pick was? We just played Wukong on stage. Yeah, but I'm borderline thinking that it was "normal" with Caps. Especially with Joey [YoungBuck] who was kind of insistent a few weeks ago that maybe you should fire it up, but I wouldn't consider it a troll pick at this point. Caps: There are a lot of things that we haven't really practised, and also random things that we haven't really played. Falco: Yeah! We have a few secret interesting things. Caps: Things that popped up last night, you know? But we'll see! Maybe in playoffs, if we play Splyce. All they see is the Wukong mid on stage one-shotting people, but they don't see the hours researching picks, figuring out the match-ups. You have to deal with that every single week. But at the same time, I feel that it actually has a positive impact on the team atmosphere, since it can sometime get super serious. Falco: It depends. If you are the type of serious person that wants everyone to try to win every single game and you see people picking random champions, if you don't understand the reason behind it or if you think they're doing it to be creative or for fun, it would actually be frustrating. I have experienced this in the past: there's a fine line between being creative and not trying to win, so you just have to keep it in moderation. Caps: I mean, Nashor's Tooth on Orianna and stuff like this. Falco: Yeah! Ardent Censer Orianna at Worlds. Never forget. Let's go back to the first time you collaborated together: last year, 2017 summer split. What were your first thoughts when the first practice started going on, and then, "What the heck is going on with Caps?" Falco: I first started working with Fnatic by trying out for the head coach position last summer. I was flown to Korea, and I had not met anyone from the team except for Jesiz, and I didn't know what to expect. Jesse told me that the team was very emotional, and that things are a bit crazy and diffcult at times, but I was going in expecting that and ready to make an impression. I get to Korea, and my mid laner seems like a really fun, interesting guy! He seems really good at the game from what I could tell in the first couple of scrims. I think, in the second scrim day, he says, "Here, I need to play Draven mid. This is the best pick. I must play Draven mid." [Caps laughs in the background] It was a boot camp before LCS, and I'm like, "That's fine, let's try Draven mid." He picks the Draven Draven skin with the bobblehead. Level 2: flashes under the enemy turret to get a kill, hits the turret instead of the champion, and dies. Everyone was just laughing! [everyone laughs at once] So that was my introduction to Caps. Do you have anything to say to your defense there? 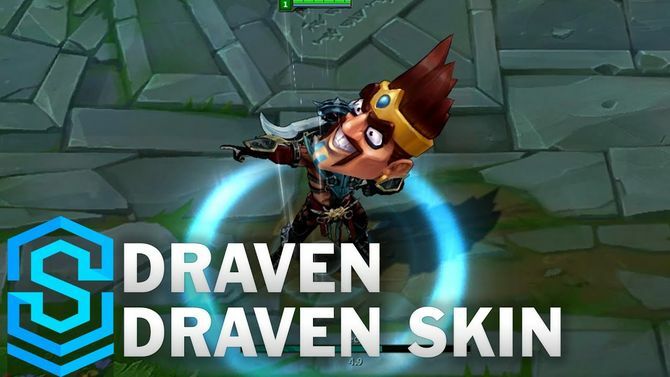 Caps: Yeah, I couldn't control myself when I saw the big head Draven, and it was a bit of a troll skin, may or may not have set the pace of the game. I didn't get to play any more Draven. I don't think there's anything I can add, still reeling from this one. But, at the same time, you got to tame the best. There is an interesting dynamic between the two of you, so if you have to describe it concisely, how would you do that? There's a fine line between being creative and not trying to win. Although Caps is a bit of a troll at times — he likes to have fun and try stuff — it's always within reason, and it's always measured. He'll come up with 10-20 different ideas, then I'll say the ones that I like and we go with those, then we work on it together to get it ready for stage. Very well. So this is going to apply to both of you: The meta is not necessarily something that is set in stone, but something that you can bend. So you're trying to research ways that you can exploit it, after understanding it. Caps: Yeah, we've always had a good grasp — not necessarily of the meta. We had weird picks that seemed OP at Worlds: there was the Malzahar thing; Crown abused it, but we were the only other team that also played it, and we got a few wins with it as well. We definitely have a lot of weird picks that you look at a month or two later, and you think, "That was just OP." About bringing new picks: while they might be OP, people don't know how to play them. That's the biggest challenge; people don't know how to play Wukong mid — what do you do with it, when are you strong — and that's what you have to figure out. Sometimes, we see champions that look really OP, but we can't figure out how to use them, because we don't know the match-ups or how exactly to play them. From there, I'm tempted to wrap it up on the following: Were there moments where it didn't go full Bobblehead Draven but actually working out, yet never quite saw the light of day? Caps: Last year, I don't remember exactly. Caps: Usually, if it goes well, we'd play it. What we do is that we practice with certain picks in mind. We know what our opponents will play, so we can practice ways to counter it. We won't practice things that won't. If it could fit the situation, then maybe it would be good to figure out how it works in scrims — like Wukong. Caps: Yeah. Oh! I just remembered: we had been playing a lot of Diana before Dylan joined, but he has only heard tales of the insane Diana in [the 2017] spring split. Every Diana game, I was one-shotting everyone, so I had 50 kills. You never know what is on Caps’ (and Falco’s) bag of tricks. Who knows what comes after Wukong? 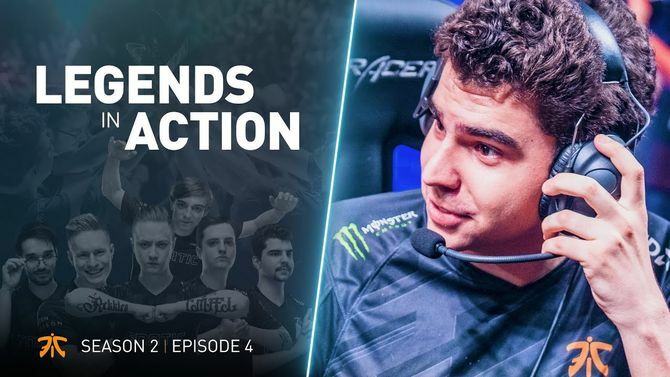 Tune in to their games on week 9 as they seek to capture first place with games against Team ROCCAT and Unicorns of Love, who are out of the playoff race, starting Aug. 17 at 18:00 CEST / 09:00 PST!